The Denver March Powwow, Disney on Ice, Jurassic Quest, Denver Home Show and 'Star Wars' Symphony arrive in Colorado this first weekend of spring. 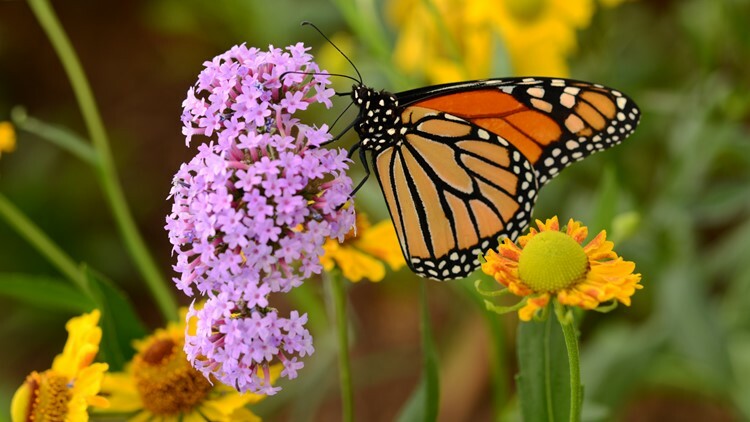 COLORADO, USA — Hello, Spring! From festivals and fairs to expos and runs, there's lots to do, see and explore in Denver and Colorado this March weekend. Celebrate the new season this weekend by experiencing the unique culture, food and geography that makes our state so special. DENVER — A Colorado tradition returns to the Denver Coliseum this weekend. 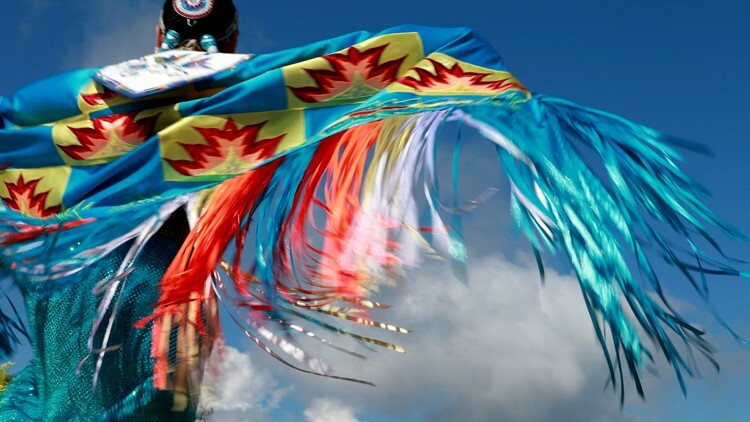 The 45th annual Denver March Powwow will take place on Friday, Saturday and Sunday. 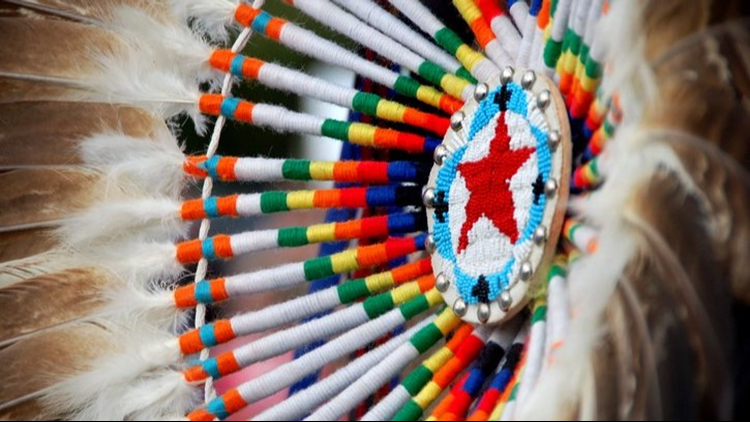 The modern powwow is a social gathering where Native Americans come together to sing and dance and honor their heritage. Tickets will be available at the door for $7 per day for adults 60 and under ($20 for a three-day pass), $3 for adults 60 and older ($9 for a three-day pass) and children 6 and under are free. For more information, visit DenverMarchPowwow.org. COLORADO SPRINGS — Disney magic comes to life this weekend with Disney on Ice: Worlds of Enchantment in Colorado Springs. Lightning McQueen, Mater, Buzz Lightyear, Woody, Jessie, Anna, Elsa and more will embark on daring adventures on ice. 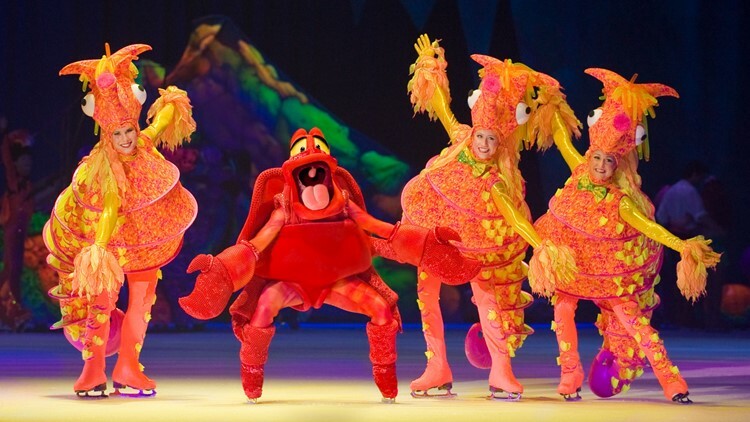 From wheels to waves, ice wonderlands to infinity and beyond, Disney on Ice plays the Broadmoor World Arena for six performances Friday to Sunday. Get your tickets at AXS.com. DENVER — Jurassic Quest, America’s largest and most realistic dinosaur event, comes to the Colorado Convention Center beginning Friday. Guests will walk through the Cretaceous, Jurassic and Triassic periods with true-to-life-size dinosaurs, from the very small to gigantic. Jurassic Quest has over 80 dinosaurs that roar, move and some even walk around. The event also offers a dinosaur petting zoo, dino science stations, fossil area, dinosaur rides, photo ops and more. 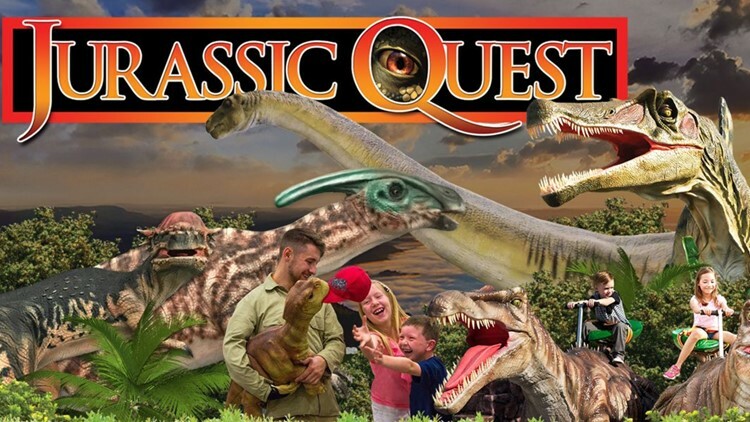 Jurassic Quest will be open in Denver from Friday to Sunday. For tickets, head to JurassicQuest.com. BROOMFIELD — The Colorado Symphony is headed to Broomfield this weekend for an epic presentation of Star Wars: The Empire Strikes Back in Concert. 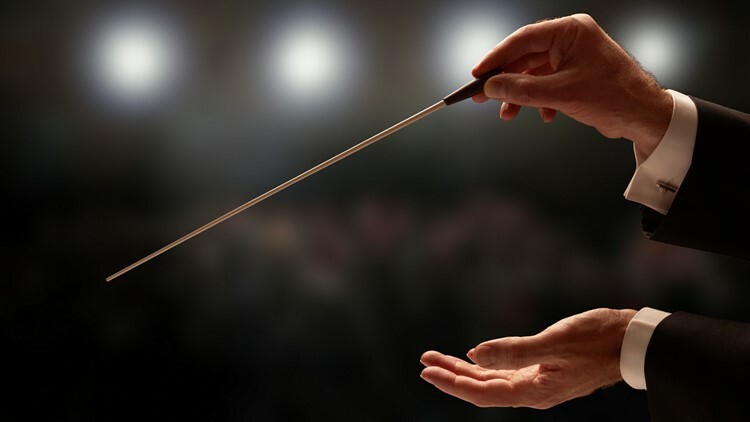 Colorado Symphony's Music Director Brett Mitchell will lead the two performances which include a screening of the complete film with Oscar-winning composer's John Williams' score performed live. 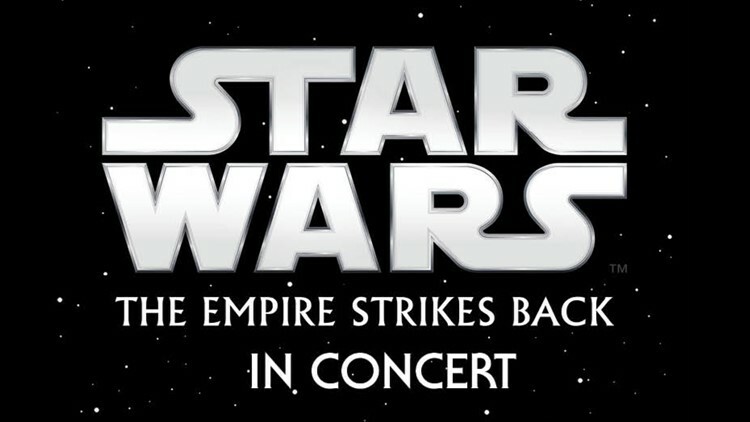 Star Wars in Concert takes place Saturday and Sunday at 2 p.m. at the 1stBank Center. Tickets are sold at AltitudeTickets.com. 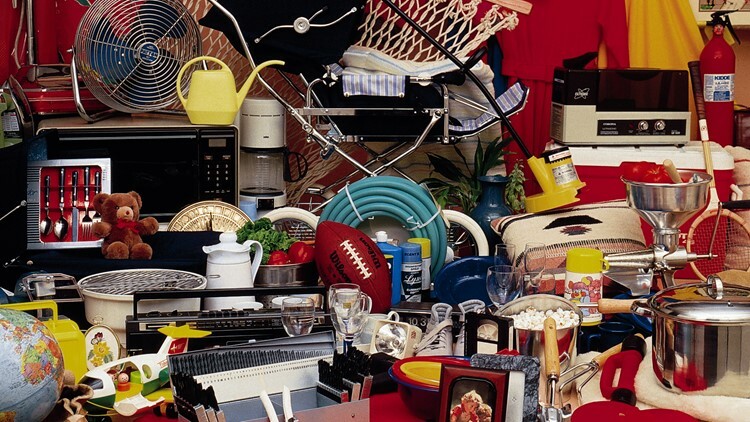 COLORADO SPRINGS — The 3rd Annual World's Largest Indoor Garage Sale, presented by the Salvation Army, will be open from 9 a.m. to 4 p.m. at the Colorado Springs Event Center. If you're looking to sell your stuff, 10-foot by 10-foot booths will be available to rent for $65. If you're looking buy, there will be thousands of items from which to browse. DENVER — The Denver Home Show at the National Western Complex runs Friday to Sunday and is loaded with ideas, advice and inspiration. More than 400 exhibitors, vendors, seminars and demonstrations can be real motivators. Future DIYers can take part in a Home Depot Kid’s Workshop and build a wooden masterpiece. Tiny homes, small patios, energy alternatives and green building choices will be set to impress. Buy your tickets early online for 50% off using promo code CHEAP at DenverHomeShow.com. This article was first published by MileHighontheCheap.com. For more local deals and discounts go to MileHighontheCheap.com. 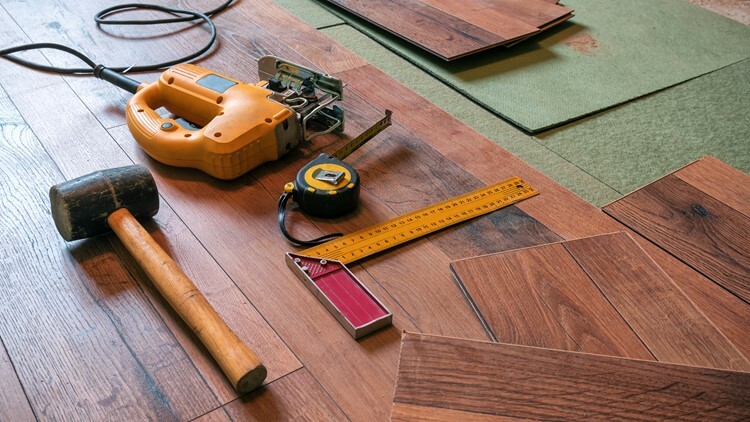 COLORADO SPRINGS — The Colorado Springs Home Show offers new ideas and products to help you renovate and update your home. Vendors will be at the Hotel Eleganté Conference & Event Center on Saturday and Sunday with the latest advice and trends in kitchen and bathroom remodeling, organization ideas, fireplace updates, sun room additions and more. The show will be open from 10 a.m. to 6 p.m. Saturday and 11 a.m. to 4 p.m. Sunday with free admission and parking. LONGMONT — The Longmont Spring Home Show opens Friday with free admission and free parking. 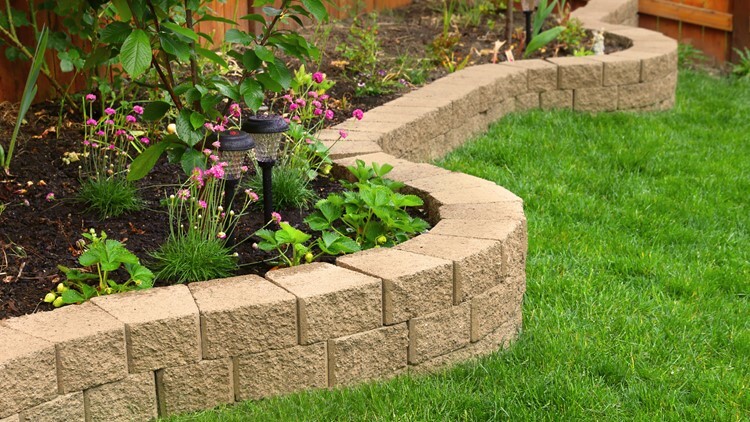 The show promises local and national vendors in the home, garden, patio and outdoor industry with advice and demonstrations in home improvement, design, décor, automation and more. The three-day Longmont Spring Home Show takes place at the Boulder County Fairgrounds. DENVER — The best local and national experts in sewing and crafts will be at the Denver Mart from Thursday to Saturday. 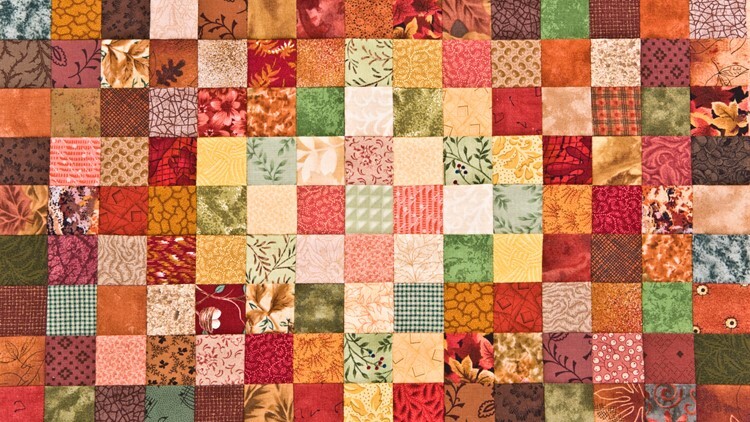 At the show you'll find a wide variety of sewing, quilting, needle-art and craft supply exhibits. Participate in one of several "make and take" workshops or learn from experts during free educational seminars. A complete schedule of events is available online. Admission is $10 and is good for all three days of the show. Visit QuiltCraftSew.com for a $1-off coupon. 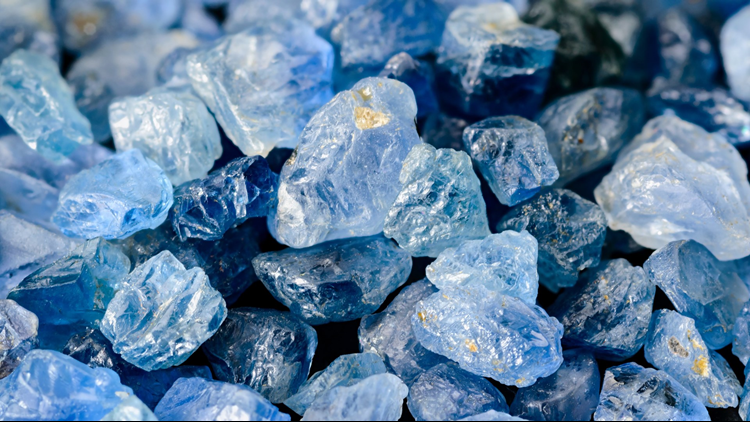 Parking is free at the Denver Mart located at I-25 and 58th Ave.
LOVELAND — The Fort Collins Rockhounds Club will hold its 58th Annual Gem and Mineral Show this Friday, Saturday and Sunday at The Ranch at the Larimer County Fairgrounds & Events Complex. The show will have door prizes, mineral specimen grab bag sales, children’s activity table, demonstrations, silent auction and more. Admission is $4 for one day or $7 for a three-day pass and children 12 and under are free. 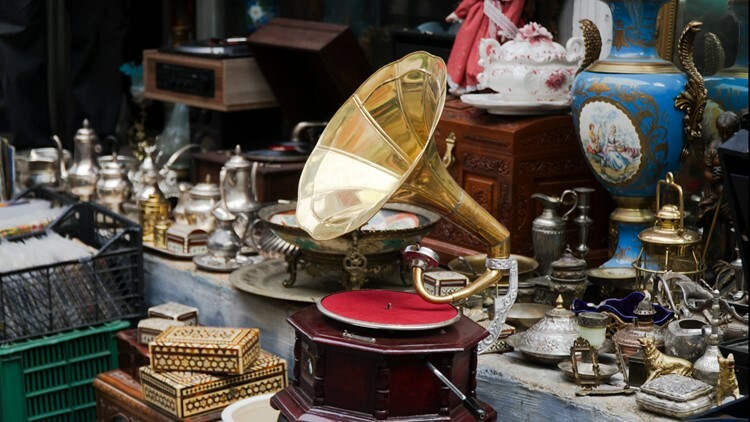 LOVELAND — Some of America’s finest antique dealers will be in Loveland this weekend for the Rocky Mountain Antique Festival. The show will feature authentic antiques and vintage merchandise from dealers from 12 states. The festival will be open 9 a.m. to 5 p.m. Saturday and 10 a.m. to 4 p.m. Sunday at The Ranch at the Larimer County Fairgrounds & Events Complex. Admission is $6 and is valid for the whole weekend and children 12 and under are free. Tickets can be purchased online. 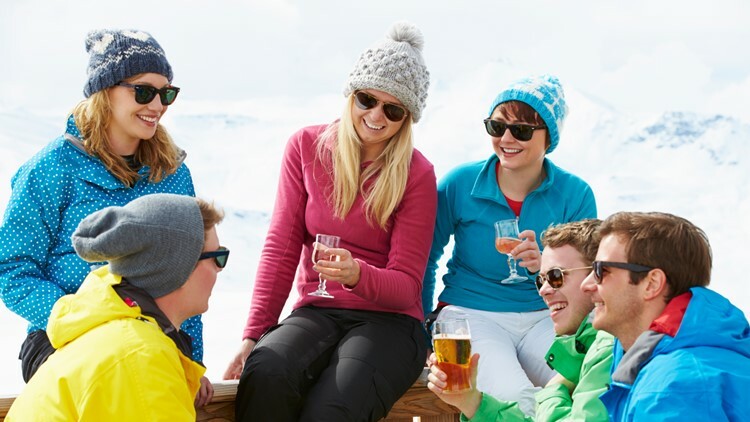 ASPEN SNOMASS — The 19th Annual Bud Light Spring Jam, which many consider to be one of the premiere spring festivals in the Rocky Mountains, concludes this weekend at Aspen Snowmass. The festival features competitions, parties and downtown concerts. On Friday, freestyle events are scheduled for midday and a big air event will take place in the evening under the lights at the base of Aspen Mountain. For a complete schedule of events, visit AspenSnowmass.com. NEDERLAND — Subaru WinterFest, a mountain lifestyle and music celebration, arrives at Eldora Mountain Resort this Friday, Saturday and Sunday. The weekend’s music schedule features Trout Steak Revival on Friday, Lukas Nelson & Promise of the Real on Saturday and The Lil’ Smokies on Sunday. 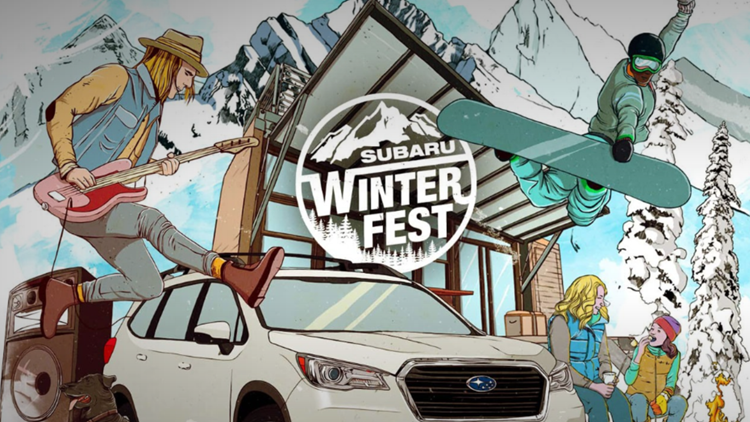 The Subaru WinterFest village will also have complimentary hot cocoa, coffee, snacks, s’mores, live demos and more. Check out the full schedule at Eldora.com. GREELEY — WeldWerks is celebrating its 4th anniversary with a special birthday bash on Saturday. 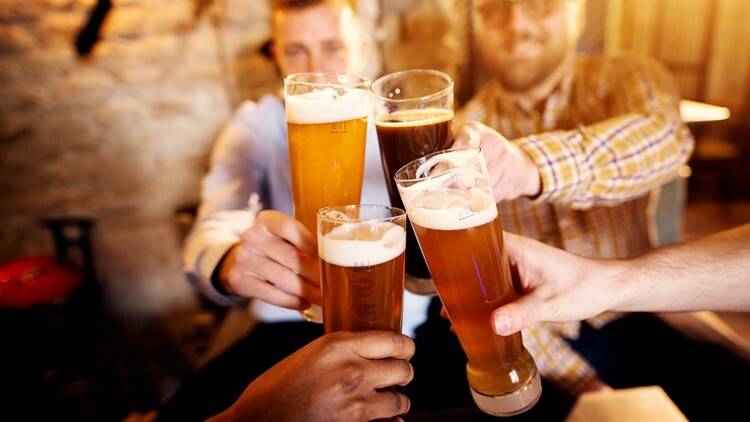 The Greeley brewery will have an expanded outdoor party area, heated tent, food trucks, outdoor draft trailer, barrel-aged barleywine releases and special anniversary tappings. WeldWerks’ 4th Anniversary Block Party Get Down takes place from 11 a.m. to 10 p.m. Saturday. 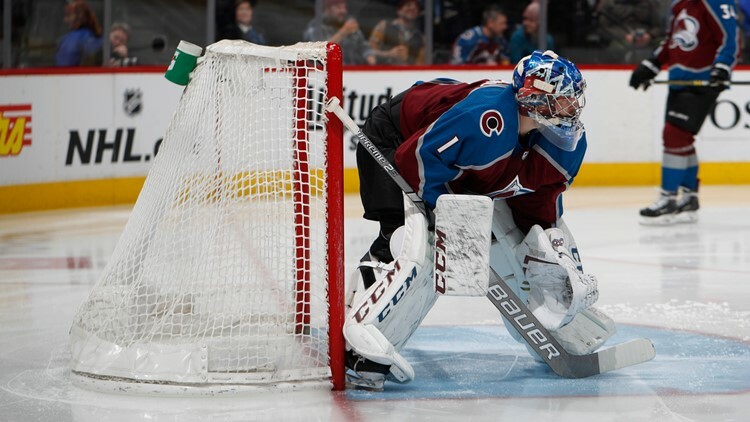 DENVER — The Colorado Avalanche return from a two-game road trip for a Saturday afternoon matchup at Pepsi Center. The Avs are set to host the Chicago Blackhawks at 1 p.m. Tickets to see the Avs’ playoff push against a division rival are available through AltitudeTickets.com. DENVER — After the Avalanche and Blackhawks, stick around Lower Downtown for National Lacrosse League action at Pepsi Center. 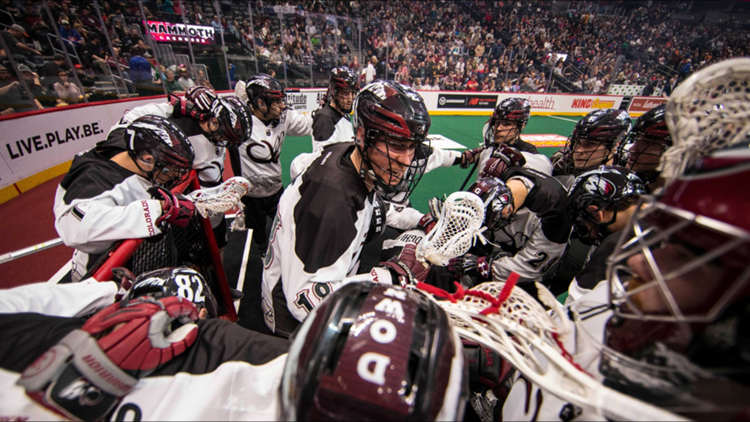 The Colorado Mammoth and Vancouver Warriors will faceoff at 7 p.m. The game will be a Military Appreciation event celebrating those who have served in the past and those who are serving today. General tickets and Mammoth Family Packs (four tickets, four hot dogs, four sodas) are available at AltitudeTickets.com. 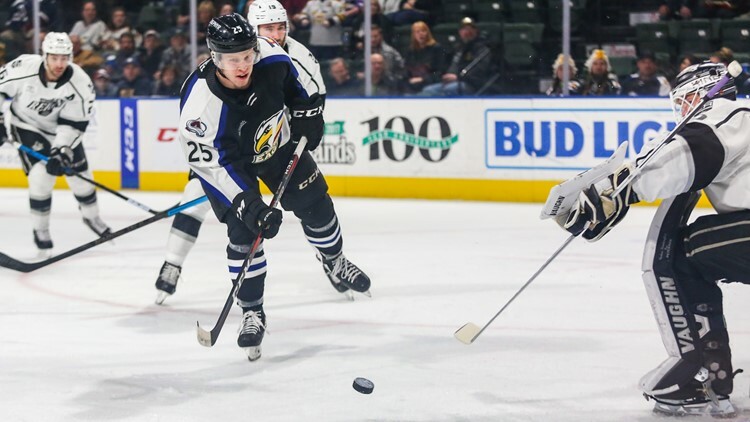 LOVELAND —The Colorado Eagles return home to the Budweiser Events Center for a two-game series against the Manitoba Moose. The Eagles and Moose will tangle at 7:05 p.m. Friday and Saturday. Saturday’s game will be the Colorado Eagles’ 8th Annual “Pot of Gold” fundraiser with Celtic music, step dancing, green beer, special St. Patrick’s Day jerseys and more. Head to ColoradoEagles.com for more information and tickets. 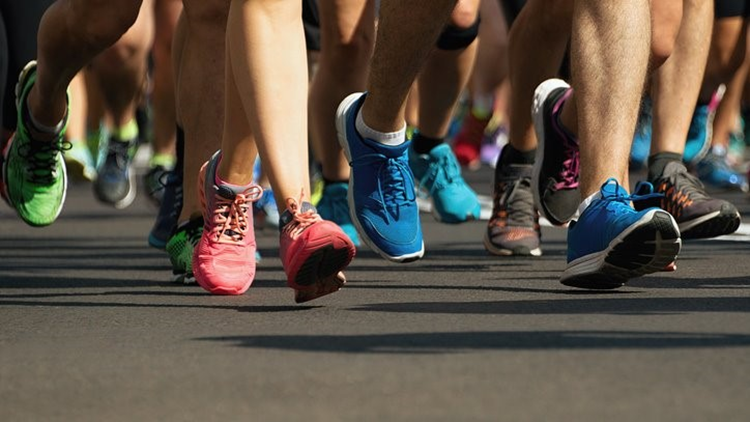 FORT COLLINS — Celebrate the arrival of spring with the annual Spring Equinox Half Marathon and 4 Mile runs in Fort Collins this Sunday. The courses, which include scenic country dirt and paved roads, start and finish at The Biergarten at Anheuser-Busch Brewery. The indoor venue will have post-race food and beer for those 21 and older. Spring Equinox registration can be completed online. ARVADA — The 7th Annual All-Out Spring Fever arrives Sunday at Jefferson County’s North Area Athletic Complex. The race courses, which hug the shores of Arvada’s Blunn Reservoir along the Ralston Creek Trail, include 1M, 5K, 10K and half marathon routes. Sunday’s event will benefit Parkinson Association of the Rockies. 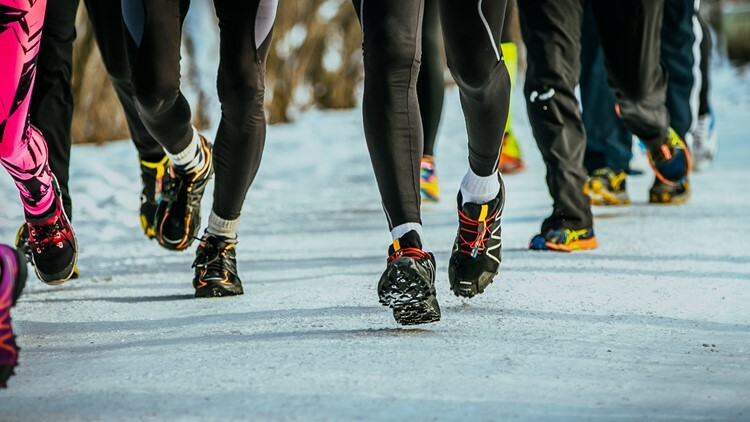 Race registration and donation information is available online. 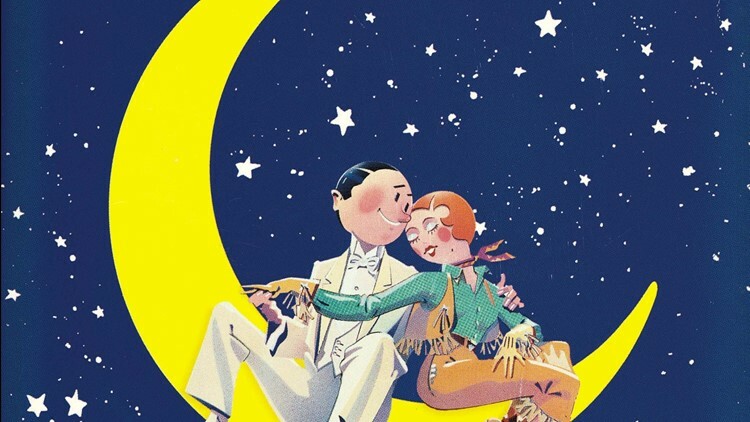 LAKEWOOD — Lakewood Cultural Center and Performance Now Theatre Company open their newest musical Friday at 7:30 p.m. Crazy For You is "a zany rich-boy-meets-hometown-girl romantic comedy" with music and lyrics by George Gershwin and Ira Gershwin. The musical features the tunes "Embraceable You," "I Got Rhythm," "Nice Work If You Can Get It," and "Someone to Watch Over Me." Crazy For You won a Tony Award and Olivier Award for Best Musical. Crazy For You plays at the Lakewood Cultural Center through Sunday, April 7, with tickets at Lakewood.Showare.com. GOLDEN — The newest production from Miners Alley Playhouse opens Friday night in Golden. 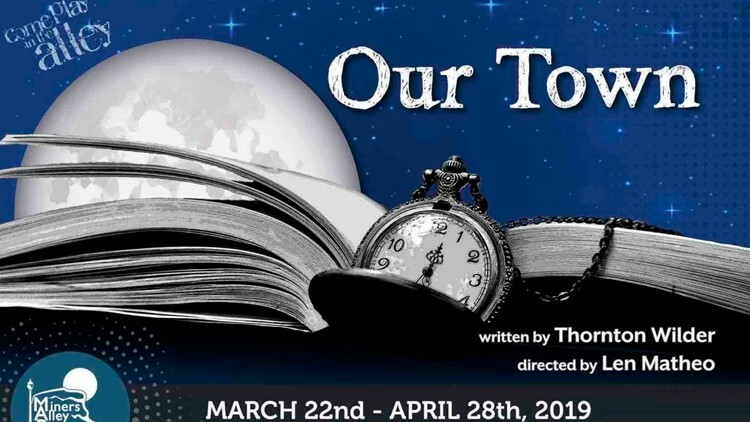 Our Town, Thornton Wilder's Pulitzer Prize-winning drama, follows two families over twelve years in Grover's Corners, New Hampshire. The production delivers universal truths about the ordinary, the romantic, and what it means to be human. Directed by Len Matheo, Our Town will play at the Miners Alley Playhouse through April 28. For tickets, visit MinersAlley.com. 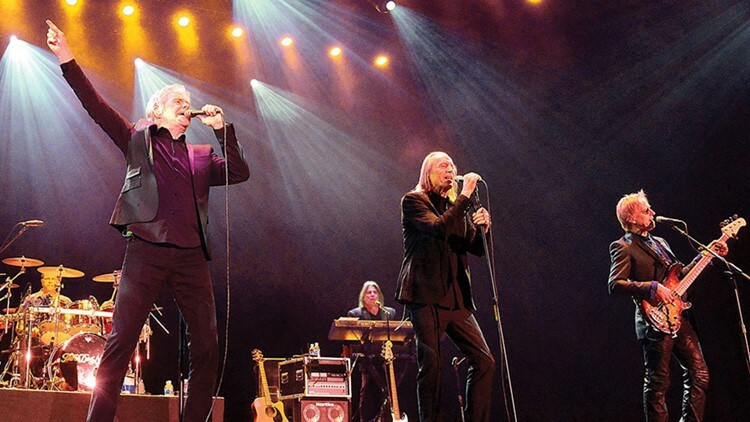 COLORADO SPRINGS — Three Dog Night will visit the Pikes Peak Center for the Performing Arts on Friday night. The group is known for their three No. 1 singles and 11 Top 10 singles including “Joy to the World,” “Mama Told Me Not to Come,” “An Old Fashioned Love Song,” “Shambala,” “Black and White” and more. AXS.com is the place for Three Dog Night tickets. GREELEY — UNC Opera's New Voices in Opera, a collaboration between University of Northern Colorado composition students and faculty, features brand new works of opera. The show has works inspired by Taming of the Shrew, Pride & Prejudice and more. Shows are set for 2 p.m. and 7:30 p.m. Saturday at the Hensel Phelps Theatre. Tickets are sold at UCStars.com. DURANGO — The 12th Annual Durango Bach Festival, a week-long festival of J.S. Bach, concludes Saturday. A Festival Finale Concert/Birthday Bash is set for Saturday at 7 p.m. at St. Mark’s Episcopal Church. 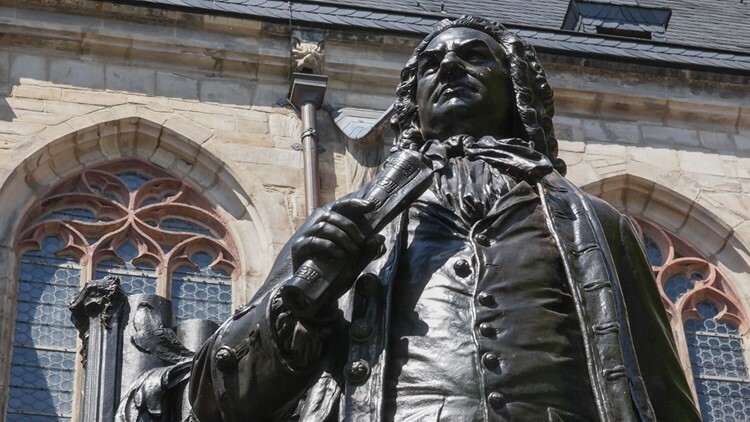 For more information and tickets, visit DurangoBachFestival.com. DENVER — Sound of the Rockies’ spring show Sing! Sing! Sing! takes place this Saturday. 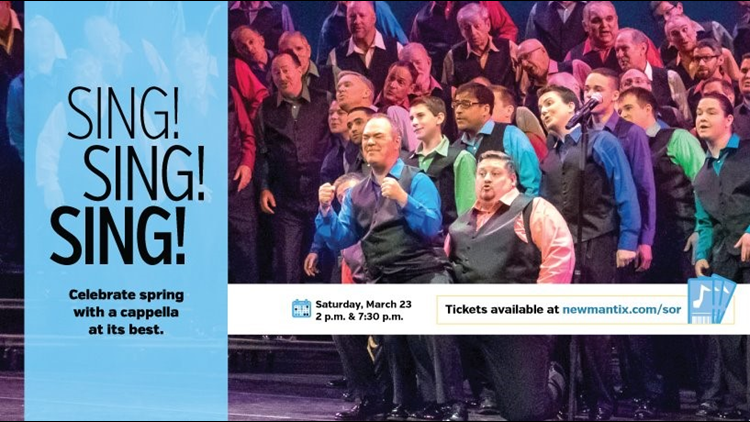 The show of crowd-pleasing barbershop tunes will feature fan-favorites from Queen, Neil Diamond, John Denver and Simon & Garfunkel plus special guests Newfangled Four, an award-winning quartet from California. Sound of the Rockies’ Sing! Sing! Sing! will be performed at 2 p.m. and 7:30 p.m. at the Newman Center for the Performing Arts. Visit SoundoftheRockies.com for tickets. 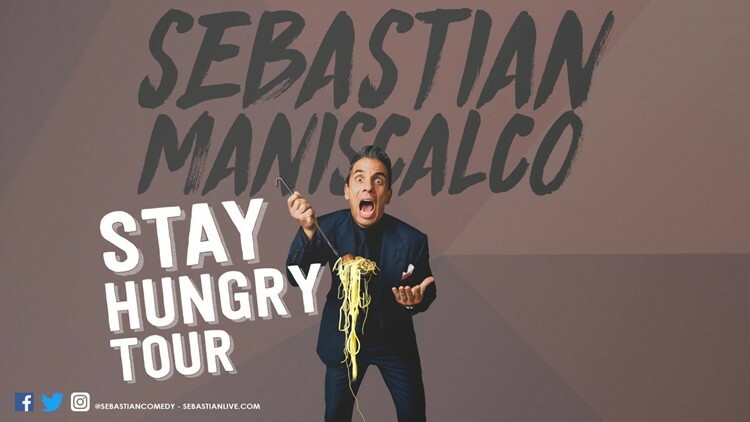 DENVER —The Sebastian Maniscalco: Stay Hungry Tour is at the Paramount Theatre for two shows Friday night and two shows on Sunday. The stand-up comedian is known for his hit Netflix special and was recently seen in Green Book and appears in the upcoming Netflix film The Irishman. Grab your Sebastian Maniscalco tickets at AltitudeTickets.com. 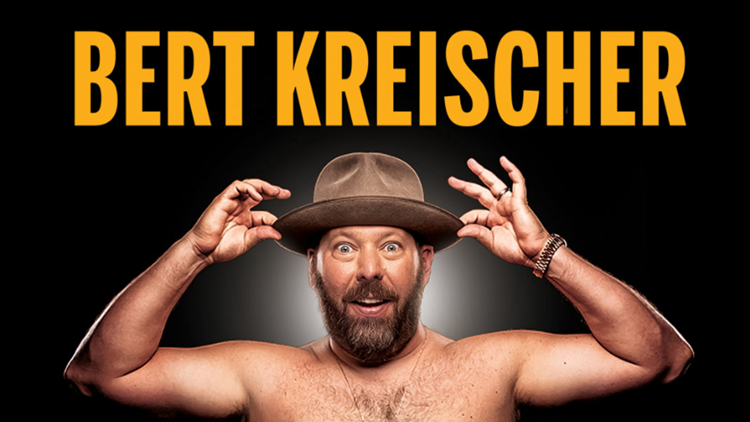 DENVER — Comedian, actor, writer and host Bert Kreischer, currently known for his Netflix special Bert Kreischer: Secret Time, will perform two shows this weekend at Denver’s Paramount Theatre. Kreischer is set to take the stage at 7 p.m. and 9:30 p.m. Saturday. Tickets to the “Body Shots Tour” are sold at AltitudeTickets.com. BOULDER — The cutting-edge laser projection system at CU’s Fiske Planetarium will be used to mesmerize your eyes with vibrant colors through fog under a 360-degree screen during this weekend’s performance of Laser Queen. 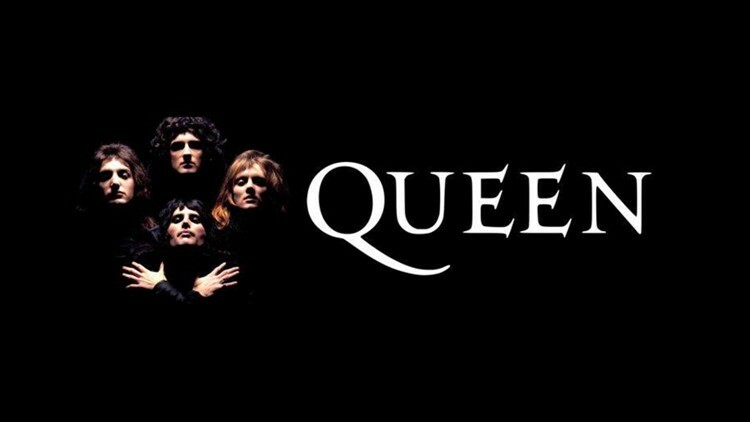 The laser show features a playlist that includes “Bohemian Rhapsody,” “Another One Bites the Dust,” “Somebody to Love,” “Killer Queen,” “We are the Champions” and more. Fiske Planetarium’s other shows this weekend include Laser Stranger Things, Laser Floyd: The Wall and Laser Floyd: Dark Side of the Moon. Tickets are sold at Colorado.edu. YUMA — The City of Yuma kicks off the first weekend of spring with a craft fair on Saturday at the Yuma Community Center. 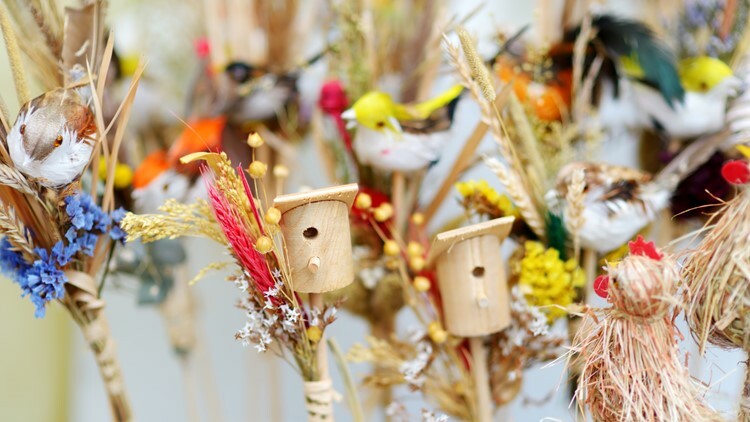 The fair runs from 9 a.m. to 3 p.m. with homemade crafts, baked goods and other fun and decorative items. 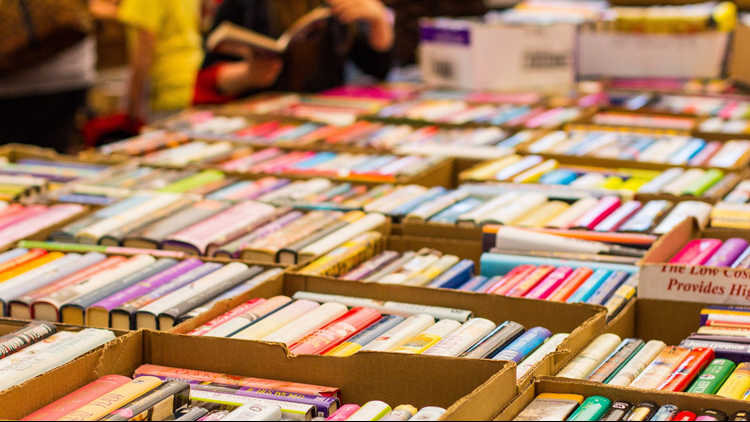 ARVADA — The Jeffco Library Foundation’s annual March Madness Book Sale will take place Friday and Saturday from 9 a.m. to 4 p.m. There will be hundreds of almost-new books, CUs, DVDs and Blu-rays available for purchase at the Arvada Library on W. 57th Ave.
DENVER — The 24-acre Denver Botanic Gardens on York Street, just east of downtown Denver, are filled with beauty that can be enjoyed year-round, whether in the renaissance of spring, the dormancy of winter and seasons between. 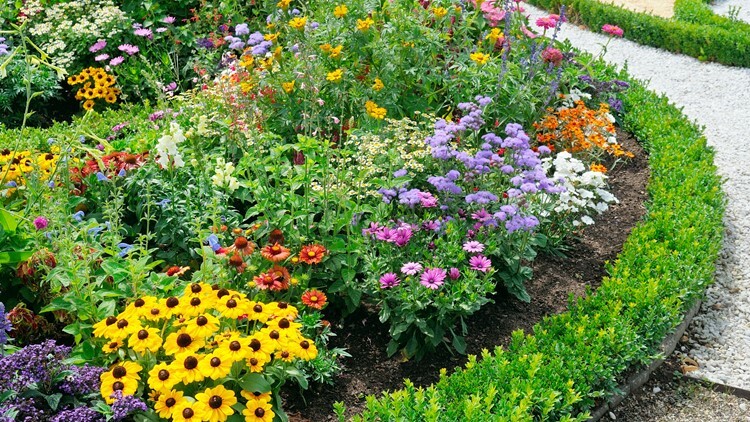 It is known for the diversity of plants from the world over but with special emphasis on the flora of the American West, where arid and sometimes harsh climate conditions have created fascinating adaptations. Admission is free for all this Friday. This article was first published by MileHighontheCheap.com. For more local deals and discounts go to MileHighontheCheap.com. 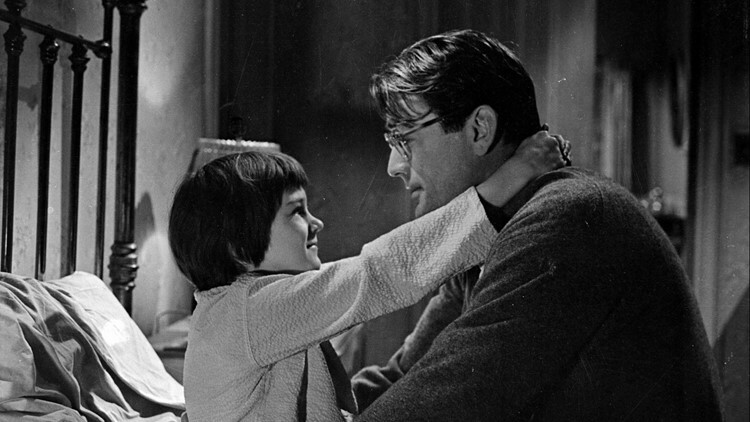 COLORADO — To Kill a Mockingbird, which centers around soft-spoken Southern lawyer Atticus Finch, will return to movie theaters on Sunday and Wednesday. Director Robert Mulligan’s 1962 adaptation of Harper Lee’s Pulitzer Prize-winning novel, was nominated for eight Academy Awards and won three Oscars, including Best Actor and Best Adapted Screenplay. The movie will play in several theaters in Colorado including Regal Denver Pavillions 15, AMC Southlands 16, Regal River Point 14, Tinseltown Colorado Springs, Regal Interques Stadium 14, Cinemark Carefree Circle, AMC Orchards 12, Cinemark Fort Collins, Crossroads Mall and more. Tickets can be purchased at FathomEvents.com or at the theater box offices. Do you know of an awesome Colorado festival, fair, expo, concert or event you think we ought to mention in this week's 9Things or in the future? Send it to alexander.kirk@9news.com right now.